Fairfield Endowed Church of England Junior School’s website homepage is bright, energetic, fun and lively. The bespoke theme option available with School Jotter 2 has given this Derbyshire based school the opportunity to create a header and footer style theme for their school website that is personal to them. In fact, it’s quite unlike any of the school websites we’ve worked on so far! The menu is clear and simple, making it easy for visitors to find exactly what they are looking for. One of the school’s aims is for children to ‘be active and healthy’ – this message is backed up by the photos used on their homepage. Fairfield Junior School’s website is still new, but we look forward to seeing how it develops as they add more content over the coming months! 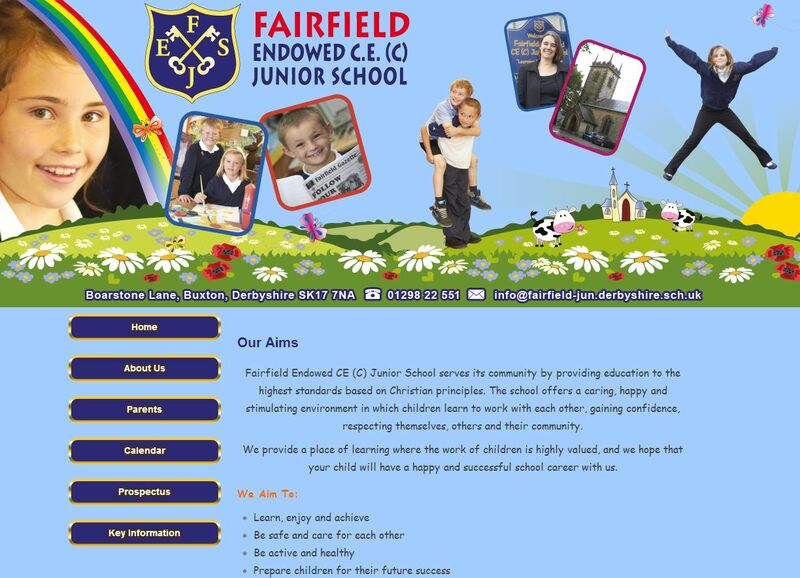 Take a look at the Fairfield Endowed Church of England Junior School’s website here.